Priced to sell! Seller under contract on buy side so we've priced well below market value. CMA attached. Call for details. 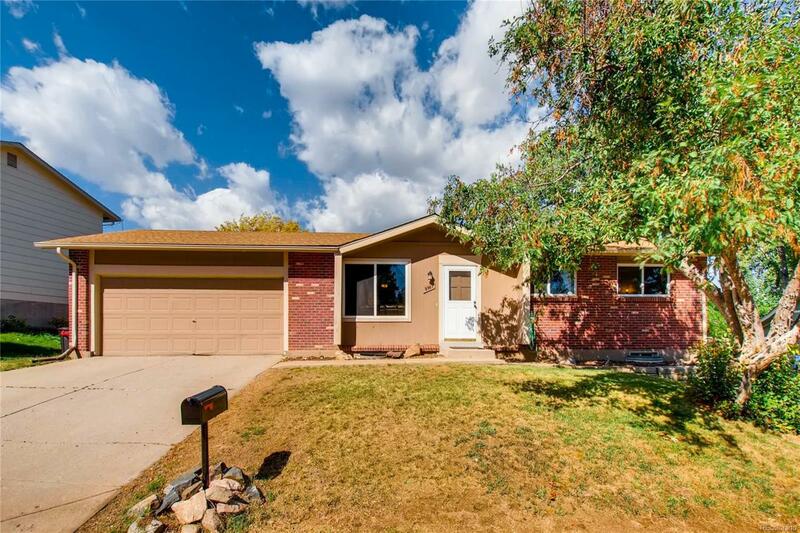 Wonderfully updated and near Standley Lake, this 4 bed 2 bath main floor living home with a finished basement presents granite counters, stainless appliances, updated flooring and an expansive backyard with plenty of space to play and entertain. Ready to move right in and call it your own! This well maintained home has a newer water heater, brand new refrigerator, new ceiling fan and new garage door opener. HVAC has been serviced and air ducts cleaned out. Play set out back stays with the home. Located in a quiet community near parks, trails and conveniences. Steps from the path that will take you directly to the lake. Offered by High Rock Real Estate.